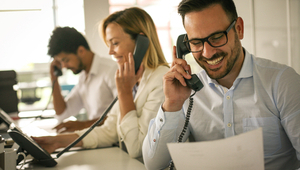 Using VoIP should be a no-brainer for businesses as it is cost-efficient, ensures the provision of many beneficial features, and makes growth flexibility possible, all of which lead to productivity boosts. 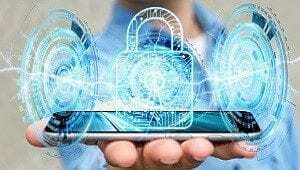 However, whenever you introduce an important/sensitive business system into the digital world (such as communication data traveling via an IP network), security becomes a vital factor. Even the most secure VoIP systems can be prone to intruder attacks if the levels of security are not up to scratch. Read this article about how you can know whether your system has been hacked and what you can do to prevent the attacks. From fraud, to eavesdropping, to interception, to an outright denial of service attack, VoIP systems can be targeted in many ways. The aftermath can be extensive, impacting the finances and the reputation of a business. It’s also a common misconception to believe that compromising a VOIP system requires a high-level knowledge of the system. In truth, some of the most common attacks are network based (a network infiltration can compromise the whole system). With the use of modern penetration tools and exploitation kits, committing fraud or performing attacks like DDOS is not a difficult task for modern hackers. The firewall settings of your network should also cater to the protection of your VoIP phone system. The majority of the VoIP routers provide VoIP aware firewall functionality so this is often not a problem, but ensuring the correct configurations is a must. A rigorous firewall can go a long way in preventing intruders from trespassing into the system. Investing in a session border controller can also be a good idea in this regard, as it gives complete control over the traffic, can help you in starting or stopping VoIP services as required, and can also aid in managing the quality of service settings. If your VoIP system is hosted on the cloud, then as a business owner, you need to inquire about the digital defenses that the provider is using to protect your system from possible breaches. Most importantly, you need to ask the provider whether they run periodic security audits and whether they have any security certifications that reflect their prowess in this regard. Believing that voice communication is somewhat securer than other data exchanges is a common misconception. Anything that’s traveling via your IP network is at risk of being compromised if security is breached. It doesn’t matter whether your VoIP system is present on-site or whether you have purchased cloud hosting, encrypting everything using state-of-the-art cryptographic algorithms is an absolute must. Even though encryption is a rudimentary need of any VoIP system, it becomes a lot more important if your company deals with customer data on a daily basis or is faced with specific administrative regulations pertaining to confidentiality. The strength of passwords will always be a huge determining factor in all matters security-related. 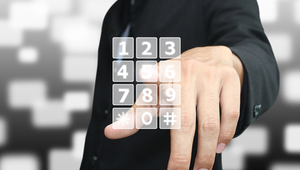 A strong password will keep your VoIP system secure from the most basic intrusive efforts. It’s a recommended practice to use at least 16 characters that include a combination of symbols, lowercase, and uppercase characters and numbers. Using password generators is a definitive no-no because they make use of old password recycling that hackers can make note of and exploit. Having multiple levels of authentication has long become a necessity more than a luxury. Multi-level authentication acts as a strong barrier against possible digital attackers, and even though it might look inefficient (when compared to a simple login request), it is anything but. Employees can send access requests to their VoIP lines when they are not present on the premises via their computers or mobile phones. That’s why it is important to establish security policies and spread awareness of the risks and dangers that open wireless networks can expose them to. No matter how confident you might be of your preventive measures, if you are not performing periodic monitoring of your system, then you are being naive. If somebody has breached your VoIP network, then there is only one way to know about the breach: by performing regular monitoring. Performing deep packet inspection or DPI on the VoIP traffic is a good way to get an early idea of unwanted activity. Deep packet inspection scans scrutinize and categorize data packets in a way that their management and control is made more secure. For instance, packets that are comprised of unidentifiable code are screened. DPI can also identify packets that have been changed or added by an unauthorized/unidentified source. Accidents can happen. So, performing periodic backups of your whole system is also very necessary. Depending on the nature of your business and your obligations towards your customers, you can choose a period after which the backup should be performed. Lastly (but definitely not of least importance), while choosing a VoIP service provider, make sure that you go with a company that is reliable, credible, and is known for setting up secure VoIP infrastructures. Good service providers will strengthen your network’s weaknesses and remove any possible vulnerabilities along with helping you put up rigorous backup routines and accident recovery services. While making your choice, ensure that the provider’s services check all of these boxes: reliability, scalability, cost-effectiveness, security, and availability. In today’s world, having an unsecured VoIP system is worse than not having one at all. The sophistication of the modern hackers and the tools they use is increasing every day and keeping up with them can be a real test for corporate digital infrastructures. However, via meticulous security planning, implementation, and monitoring, your VoIP system can be made secure, ensuring an almost ironclad defense against would-be digital assailants.